Are you looking forward to an outstanding online presence come the year 2018? Today, if you are a blogger or freelancer, you can unleash your SEO prowess for a content-rich website using the best keyword research tool. The keyword you choose can make or break your career. Unfortunately, many people are still struggling in vain to hit the right spots, especially on on-page optimization, minimizing site bounce rate, getting quality content among many other SEO related functions. In addition, some are still spending exorbitantly in search of the right tool, others wasting a lot of time digging a chunk of data for the right keyword. Well, the good news is that, in 2018, your website should rank way better and your online business blossom. Thankfully, this exclusive article provides you an entrancing analysis on today’s best-rated keyword research tools; the Ahrefs, SEMRush and Long Tail Pro. Plus, you get a vivid understanding of their comparison, why they are the best and much more. Let’s take a quick look. Choosing the appropriate keyword isn’t an easy task, nor an instinctive process, but a mastery of the art. It is the art of playing your cards right and tap into the huge online streaming traffic to your site, using a captivating keyword. Therefore, apart from Keyword Planner, Keyword.io and many others, using a keyword research tool is one remarkable artistic skill. It helps you directly speed up the research process and access a myriad data hub quickly. Impressively, this information is specific and helps you identify verified keywords of interest instead of navigating around imaginative or possibly irrelevant keywords. Remember, the modern reader, consumer, blogger, freelancer and many site visitors are keen on an eye-catchy keyword to an appealing read. Admissibly, overtime, a lot of keyword research tools have flooded the market. But, what are some of the essentials central to a keyword research tool? How do you identify the best tool for your arsenal? Boast a remarkable Search Engine Results Page (SERP) analysis. By now, you could be asking, which is the best keyword research tool? Which one is fast and efficient? Well, I asked the experts, this compounded with some profound research, the Ahrefs, SEMRush and Long Tail Pro effortlessly emerged at the top. This is why. 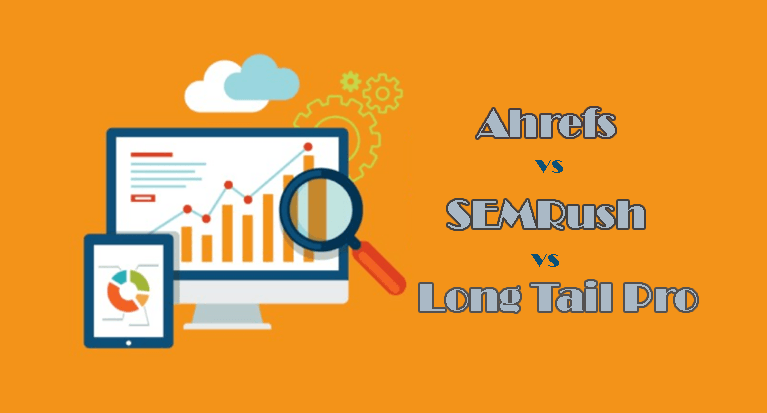 Notably, I will start with Ahrefs before giving you a comparison of SEMrush and lastly a gist of the Long Tail Pro. If you have been commanding an online internet presence for quite some time now, you must have heard of the Ahrefs Keywords Explorer. I used the keyword research; [clickToTweet tweet=”I have to admit I was amazed at this incredible invention by @timsoulo ‘Ahrefs’.” quote=”I have to admit I was amazed at this incredible invention by Mr. Tim Soulo ‘Ahrefs’.”] Chances are until you use the tool, you could be tempted to think it is pretty much the same to its peers. This is an all-in-one SaaS (web-based software) tool that provides you data and is able to monitor the trajectory of your SEO optimization. Impressively, you don’t need to install it for use. To access the site, all you need to do is sign up for a free. They offer a subscription version to opt for. The whole process is straightforward. The tool has the capability of providing a high number of keyword suggestions. This makes it one of the best tools with extensive details, including word volume and difficulty for the entire database. It uses clickstream data to indicate how many clicks you are likely to experience from a given search engine. Remember, you can access numerous keywords with huge traffic but fewer clicks. This tool provides you this relevant information through access to Google search results. Besides, it updates its database with fresh keywords monthly. It boasts an impressive user interface (UI) with sufficient data. Additionally, you can create specific lists of keywords of your interest which you can access from the dashboard of Ahrefs Keywords Explorer. This keyword research tool is quick to use, saving you time. Boasts impressive metrics of unique keyword research. This facilitates easy filtering of keyword suggestions not available in many mainstream tools. This tool provides you the search trends from way back 2015 with their respective clicks. Uses a detailed SERP analysis to display SERP features and accurate backlinks from the search engines. You are able to know how much search traffic top ranking pages are commanding, specifically inclined to keyword rank apart from your keyword of interest. Comes with the “Auto-recommend” feature not found in all SEO tools. Its search volume trend graph is simply visualization. Unfortunately, it doesn’t reflect the search volume numbers for past few months. It doesn’t integrate with Google analytics or Search Console in its operation. I still don’t find its robust in its statistics as compared to other tools. It has low limits and restrictions on the $99 plan, which I find a little bit an inconvenience. I could search some keywords and still come up with the irritating ‘no result’ outcome in some sections of the tool. The keyword suggestions will require you to do some sorting on volume of relevant results. Unfortunately, they don’t have a free version or a free plan. SEMrush is your remarkable keyword research tool is you mind reliability of data and affordability as compared to Ahrefs and other free search tools like keyword planner. Additionally, it harbors competitive business intelligence data, position tracking, site auditing, social media listening tools and backlink audit capabilities. Since Google ranks its algorithms on a high value on backlinks, SEMrush is able to list all the internal and external links on your site including the back linked ones. Moreover, you are able to identify untrusted websites at the click of the button and remedy them. Besides, it is able to suggest user-friendly and authoritative websites ideal for your vibrant SEO activity. This is your ideal tool if you want quick results and in-depth analytics. Let’s have a look at its pros. With SEMrush, you have a wider access to the keyword ideas within seconds, unlike most conventional search tools. As a result, you are able to find your keywords that generate the huge of traffic to your competitors and use them on your blog for that cutting edge. The tool works great with numerous databases depending on the country you are interested in. Just like Ahrefs, they also update their database regularly but daily. This beats down Ahrefs because you are bound to get more accurate information regarding your competitors or keyword at SEMrush than at Ahrefs. SEMrush is the ideal platform to dig for information about keyword phrases and other keyword difficulties. Able to analyze up to 5 of your competitors seamlessly at a given time. Helps you check on keyword positions, perform a site audit, estimate site traffic and fix issues related to your website. It is relatively affordable compared to Ahrefs since you only need to pay $70 per a month to use it. This is worth its features. A suitable SEO tool for newbie bloggers and marketers with a keen eye growing their sales turnovers. It provides you a free 30-day trial before you go premium. It takes a lot of time sifting through pages in search of keywords. You are not able to pare the list or save sections of it without exporting all that to an excel sheet. Unfortunately, SEMrush doesn’t allow you to save a search you want to review for future reference. As much as the interface is easy to understand and use with time, it is perfect for the experts already into SEO prowess. It doesn’t provide a clear option to create white label reporting. It doesn’t provide you an accurate huge list of long tail keywords like Long Tail Pro does. Long Tail Pro is cloud-based software dedicated to keyword research. It is one of the greatest tools suitable for searching keywords of specific niches or micro-niche sites. Besides, it offers a ‘platinum’ version if you want to access its additional amazing features. Thanks to its competitor checker, you find it easy to pick the right keyword for your blogging needs. Long Tail Pro is your ideal choice if you are interested in keywords that are profitable but less competitive. This makes it possible for you to rank by means of the same keywords. [clickToTweet tweet=”Are you an SEO professional tired of the conformist tools like keyword planner? ” quote=”Are you an SEO professional tired of the conformist tools like keyword planner? 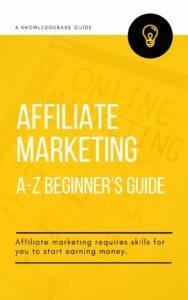 “]As much as it is free, access to keywords doesn’t guarantee less of the competition from other bloggers using the same tool. Therefore, Long Tail Pro provides you that competitive superiority. It provides the capability to test your niche viability. It is easy to identify the numerous keyword opportunities available in the online space. It comes with a lot of features compared to SEMrush, Ahrefs and, many other tools. Long Tail Pro helps you easily focus on profitable niches. Easy to create specific marketing campaigns to boost your traffic. You are able to look for all or multiple keywords of your interest at a single time. It is able to generate up to 800 search results for every seed keyword you run on the keyword research tool. This is your automatic tool for finding domain names. You are able to check rankings automatically against Google, Yahoo among others. You can get a long tail pro keyword search for just $37 per a month. Ideal for profitable keywords at the same time excludes short tail keywords that might work with you. This is a research tool suitable only for finding long tail keywords. It only does an estimate of any website traffic. It isn’t a great tool for analyzing backlinks or help you find your competitor main keyword like SEMrush. Regardless of cost, choose a tool that solves your specific problem. I suggest you choose results that are always relevant and highly rated if you are keen on countering competition. In addition, ensure you strike a balance of all the factors when selecting your final keywords. Things like search volume functionality should be relevant to your product competitive verge. If you happen to sell local products, opt for local settings that suit your local region in your Keyword Research Tool. Remember, irrespective of the tool you will choose from these three keyword research tools can be challenging and time-consuming. You need to be not only objective but also patient. I hope by now you have an idea of your best Keyword Research Tool to use in 2018. Be prepared early and utilize these amazing tools for your blogging success. Be keen to check on the tool that is often updated if you are interested inaccurate results. Lastly, spare enough time when doing your research for satisfactory results. Targeting the appropriate keywords is everything. Let your online world thrive in 2018 by generating overall traffic that will set the trend for greater returns.